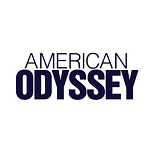 Best Case/Worst Case, April 2015: Weird Loners, A.D., American Odyssey and more! It's the season finale of Best Case/Worst Case, covering the last few shows that will air a significant stretch of episodes before the end of the regular season. 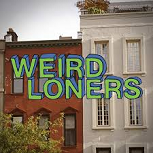 But since all of these except Weird Loners should continue airing into the summer, I will again note that these averages only cover regular season episodes. Best Case: The best thing this show has going for it is the miserable expectations established by Mindy in the timeslot. It's hard for me to see this building to any noticeable degree on its New Girl lead-in, but it has a couple likable cast members, so maybe it can do about 100% of it. That would still be a nice improvement. At a 1.25 it's still probably a bubble show, but if something falls through with Mindy maybe Fox renews it as a backup. Worst Case: This show has bad promos, bad reviews and absolutely no concept or star that will hook viewers. It will be lucky to start with Mindy's usual 18-49 delivery and quickly finds Mulaney-esque rejection, barely doing 50% of New Girl. 0.65. Likeliest: This show just seems... weird, for lack of a better word. I like Becki Newton, but the promos don't make me want to watch it at all. The Mindy Project is a weak 18-49 performer, so even a relatively bad premiere might be able to do better than Mindy's usual number. But I think it'll soon go even lower than the Mindy norm. 0.88 and an easy cancel. Best Case: The Bible averaged a 2.85 demo rating. That's huge for basic cable. This is The Bible on a channel with more household coverage, so why wouldn't it go up even more? 3.15. Worst Case: Yes, it's The Bible. But it's also two years later with a different name and on a different channel. It was a nice success story in 2013, but people have just forgotten about it, and all the changed conditions won't do it any favors in trying to get all that audience back. It basically matches its Dateline lead-in at 1.10. Likeliest: To some degree, I think this will suffer from the same kind of thing seen in the second seasons for "event series"; in other words, I just don't know if that "event" feel can strike twice. However, premiering it on Easter poises it to capitalize on the holiday culture in the same way Grimm and co. have around Halloween, so it should open pretty well. It can take a huge step down from The Bible and still be a really welcome success by NBC's wretched scripted standards. 2.10 through the end of the regular season, 2.0ish including the summer eps. Wouldn't be that much lower than The Bible in Plus, really. Best Case: NBC knew that A.D. was going to be huge, so they smartly saved their best and most compatible new drama of the season to pair with it. Something that is easy to forget about The Bible is that it had helped launch Vikings, which still rates well for History today, and it will have the same kind of impact on Odyssey. 2.10, and it's back on the airwaves in the fall. Worst Case: The year after The Blacklist, NBC seemingly greenlit a thousand rip-offs, and this is the one that actually stayed on the shelf in favor of very weak State of Affairs and megabomb Allegiance. A.D.'s audience isn't going to be interested in something like this at all. 0.70. Likeliest: Out of all of NBC's political/intelligence thrillers, this one seems the most interesting to me, or maybe it's more accurate to say the least uninteresting. 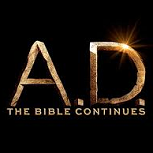 I don't think it's a great match with A.D., but it has a slightly more adventurous/epic concept so it's not a horrible one either. I just don't trust that NBC would endure such a huge disaster of a new class for 30 weeks and hold its gem till the last six weeks of the season. So I'm going with the same kind of low-end bubble average I previously expected for Allegiance. 1.28. Perhaps it gets the face-saving nod over Laura? Best Case: The Force is strong with these CW Friday 8/7c shows. 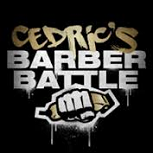 Hart of Dixie and even arguably The Carrie Diaries overachieved with the local programming lead-in on the night, and this Cedric the Entertainer reality show is probably a better match with local programming than either of those were. It seems like something of a vote of confidence that this show is anchoring the hour with Whose Line? at 8:30. It matches fall Whose Line? numbers at a 0.55. Worst Case: It's yet another new reality piece of junk on the CW, and the local programming lead-ins haven't seemed to help those historically (most recently last summer's Famous in 12). Not sure it can get any worse than 0.2, but it's definitely possible it won't do any better. 0.20, and the CW quickly moves to a double-Whose Line? hour. Likeliest: Cedric the Entertainer has proven an OK draw in a couple other situations recently; for example, The Soul Man was fairly well-sampled by TV Land standards. So maybe it could eke out a 0.4 when paired with Whose Line? I could also see it getting 0.2's, so I'm just playing it safe and saying 0.30. But this kind of show is admittedly my blind spot. Best Case: The CW made a big mistake in jettisoning this new drama to Friday. With a Whose Line? lead-in, it can find a 0.5 for the premiere and the audience really likes what it sees, holding onto a 0.4 in the last few weeks of the regular season. 0.45. Would they actually renew it if it does this well? I'm gonna say no, because it will air deep into the summer and probably go down a bit more from there. Worst Case: All you need to know about this show is that the CW is keeping Reign on the weeknight schedule rather than try this on a weeknight. It starts at 0.2 and stays there before posting a couple Cult-esque 0.1s on the last Fridays of the season. 0.16. Likeliest: Even with a Whose Line? lead-in, if this show can get any higher than 0.4 for the premiere then the CW probably made a mistake in putting it here. But I'm following the scheduling and saying that won't happen. A 0.4 premiere if it's lucky, and a bit more time at 0.3 if it's lucky. 0.26 in the five regular season weeks, then a long string of 0.2's through the summer run. Dunzo.